Graveside services for Roy Owen Black, 72, Hutton Valley, Missouri, will be held at 2:00 p.m., Wednesday, November 7, 2018 at Hutton Valley Cemetery, under the direction of Robertson-Drago Funeral Home. Mr. Black passed away at 7:45 p.m., Saturday, November 3, 2018 at Ozarks Medical Center. He was born April 28, 1946, at Hutton Valley, Missouri, to Owen Black and Nerva Jane Parrott Black. Roy was a graduate of Willow Springs High School. He worked as a football lacer at Rawlings and loved playing pool, hunting, fishing and sports. Mr. Black was a member of First General Baptist Church, Willow Springs, Missouri. 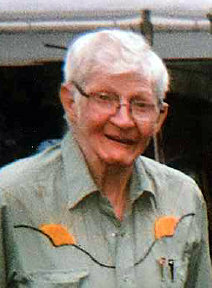 He is survived by one sister, Marideth Benfield and husband, Leroy, West Plains, Missouri and four nephews, Paul and Eddie Benfield and Loyd and Danny Warden. His parents, one sister, Loretta Warden, brother-in-law, Loyd Warden, Jr. and one great-nephew, Cole Benfield, preceded him in death. Memorial contributions may be made to Hutton Valley Cemetery and may be left at Robertson-Drago Funeral Home. I remember all the good times we had as cousins growing up, and there are only good memories of Roy. I remember catching Roy in baseball for years. I’ve told many people (over the years) what a pleasure it was to play on the same team.